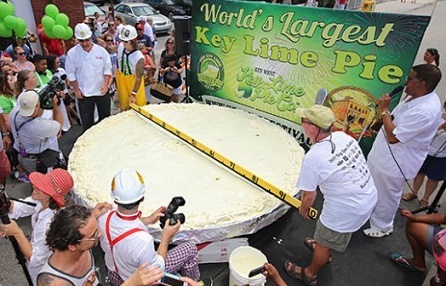 There are many variations of Key Lime Pie, even in Florida. 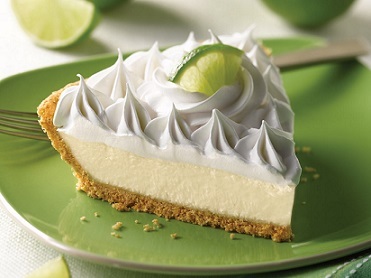 But one thing nearly everyone should understand and agree about, the natural color of this pie is a very light yellow ...not green from adding food coloring. This is a famous restaurant dessert recipe. No one really knows who developed the first recipe for this delicious pie. Nor does anyone really know what the first pie tasted like, but it must have been good to have influenced the eating habits of the entire nation. This restaurant dessert recipe is that good! Restaurant customers have continually said this is a best restaurant dessert recipe. Preparation time: 15 minutes. Serves 6-8. Having a number of delicious, easy, no bake dessert recipes is a big help to all of us who are very busy. If you click around the website you’ll discover other easy, no bake restaurant dessert recipes, each one a famous restaurant recipe. 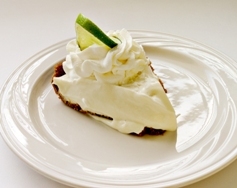 Try this pie recipe and try all the restaurant dessert recipes. You can cook with confidence and style! Enjoy your Famous Pie Recipe and the company of those your share it with!